In Week 3 SKT T1,unleashed their full might that everybody had been expecting since Week 1by utterly crushing Incredible Miracle with twodecisive victories. 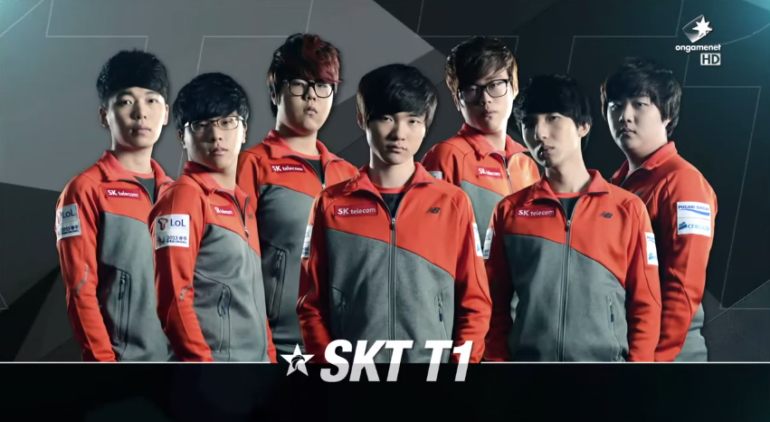 In Week 3 SKT T1, unleashed their full might that everybody had been expecting since Week 1 by utterly crushing Incredible Miracle with two decisive victories. Green indicates an increase from previous performance, red; a decrease and lastly a black dot indicating no change. In the top lane Duke still holds a reasonable score and statistic despite a 2-0 loss to Jin Air, and in fact is leading the top lane in Kill Participation and all CS categories for this week. A high CS average always seems to be a common sight with Duke and I cannot stress enough the high-level consistency of this player. Meanwhile Smeb had the time of his life on week 3, crushing the undefeated CJ which is reflected with the increase in all of his stats. With the departure of the two play-making junglers; KaKAO and DanDy, GE Tiger’s Lee is on a warpath to secure the title as the best LCK Jungler and with this week’s performance may have already succeeded. Having played only against low tier to mediocre Korean teams, many thought GE Tiger’s undefeated record would be shattered by CJ who had bested both the fan favourites of SKT and NaJin. But it was Lee’s superb jungle mechanics and map pressure that insured their crushing victories against CJ and make them look like as if they were still floundering in the preseason. Lee deservedly received both MVPs for this week. Speaking of jungle talent, Jin Air’s Chaser continues to look more solid the more I watch him play but unfortunately his spotlight is taken away by the unexpected phoenix-like revival of GBM, whom I have not seen play this well since his opening games on Orianna back when he used to run with CJ. Other than Jin Air’s immaculate performance this week against NaJin, this Week was undoubtedly the Week of the SKT mid laners. Faker and Easyhoon continue to prove themselves as perhaps the 1st and 2nd best mid laner in Korea. It is no surprise that both mid laners received the MVP at the end of their respective matches and they are to blame for Incredible Miracle’s ridiculously low KDA ratios this week. Last week I was critical of Zefa whom I claimed wasn’t able to maximise his teamfight damage output that the elite AD Carrys were capable of. This week the Zefa + Pure duo managed to attain the highly prestigious accolade of attaining 0.0 KDA and 0.0% Kill Participation. Admittedly they only played one match this week where NaJin secured only 1 Kill but I think many will agree that it is of NaJin e-mFire’s best interest to field the superior Ohq + Cain duo more if they want to have a chance to dig themselves out of their 1-3 record right now.